Most labor intensive tasks can be performed by using the tractors. 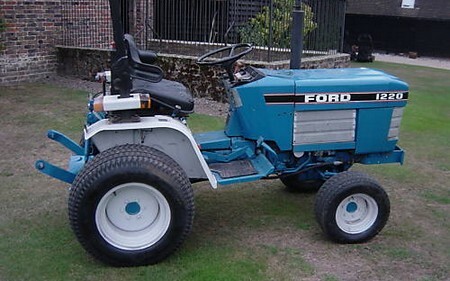 Tractors are powerful and strong type of vehicles used to perform different tasks on farm. If you want your tractor to work efficiently for longer period of time, you have to maintain it properly. Following are given some of the maintenance tasks you should perform to keep your tractor going for years. A weekly maintenance check keeps your tractor in good working condition. However, daily maintenance check is required at peak farming seasons to make certain the performance, strength and sturdiness of tractor. Besides daily maintenance checks, weekly maintenance is also required, regardless of the issue that how much you use a tractor. Oil Checks and Lubrication: For smooth running of the engine, it is important to check oil levels regularly. Remember in tractors heavy duty lubricants and fuel oil are used, never use the light vehicle lubricants and oil in tractors. Cooling System: Unlike normal vehicles, tractors are not used on back roads or streets. They are used in farms with lot of dust and brush. You have to make sure that the water level should always be on required level and the radiator grille should be free of any debris and dirt. Well Inflated Tires: Always use proper inflated and good condition tires for your tractor. If you find your tractor’s tires worn or with low tread, replace them with new tires. Braking System: Most tractors have mechanical braking system or mechanical brakes. You have to keep check on lever and the braking system daily for proper working. If your tractor’s braking system broken down replace your brakes. OEM or Original Equipment Manufacturer Parts: To get the best replacement for your damaged parts, always use the specified and tractor’s manufacturer parts. Aftermarket Parts: There are certain companies that make replacement parts, you can use those aftermarkets replacements parts as well for your tractor. Tractors are so designed to last for long. But regular maintenance is always there to prolong its performance and life. Following above points you can keep your tractor well maintained for longer period of time.